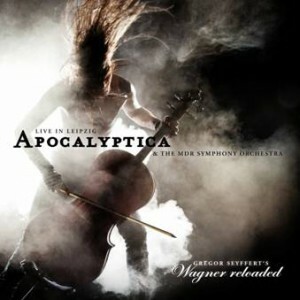 After the worldwide success of 2010’s “7th Symphony”, the innovative Finnish cello rockers of Apocalyptica engaged in a variety of critically acclaimed projects and are currently finishing their 8th full studio album to be released early 2015. Since their inception in 1993, Apocalyptica have been mining classical form and structure, ever coming up with unpredictable new musical projects. Twenty-one years into an inimitable global career exceeding well over 1000 live concerts, performed in over 50 countries, they are still reinventing themselves – creating massive attention in media as well as the charts on all continents. Having collaborated with artists like Gavin Rossdale, Dave Lombardo, and Ville Valo on past studio albums, Apocalyptica have now taken on a new musical challenge: For the upcoming LP, the band is working with Franky Perez as exclusive singer on the vocal tracks – this time not only during production, but for the whole cycle including the tour. Perez released his debut in 2003, later teaming up with System of a Down’s Daron Malakian and John Dolmayan as Scars on Broadway. In 2009, Perez was announced on vocals of Slash’s solo band, followed by collaborations with Dave Kushner (Velvet Revolver) as well as Scott Shriner (Weezer), Joey Castillo (Queens of The Stone Age) and Dave Warren (The Simpsons) as Pusher Jones. After being honored as vocalist for The Doors at the L.A. Sunset Strip Music Festival, he released his latest solo album “Addict” in 2013. For Apocalyptica, working with Perez on the entire project elevates the musical vision to a new level of coherence between studio production and live performance, as well as renewing the focus on the band’s homogeneity after the recent feature projects. The new album will be out early 2015, followed by an extensive live tour.